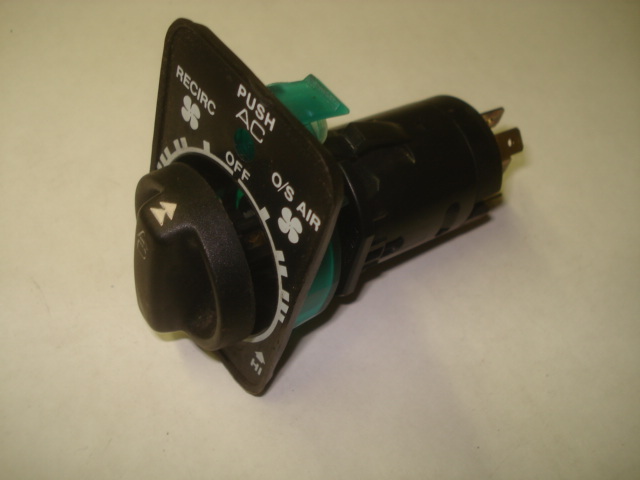 Good used blower fan speed switch for the XR4Ti. Allows you to select which blower speed to set your interior fan. Low, Medium or High. Overall conditions may vary from picture. Comes with knob, cover, bulb, and switch.